I hold my hand up here and admit that I screwed up. 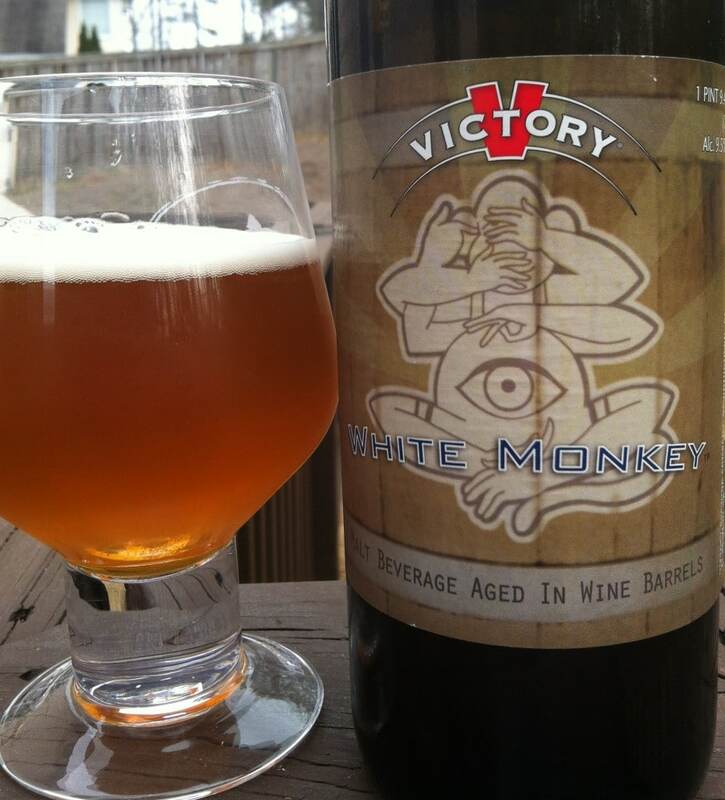 The thought of Golden Monkey aged in white wine barrels was definitely something that I would be very interested in. 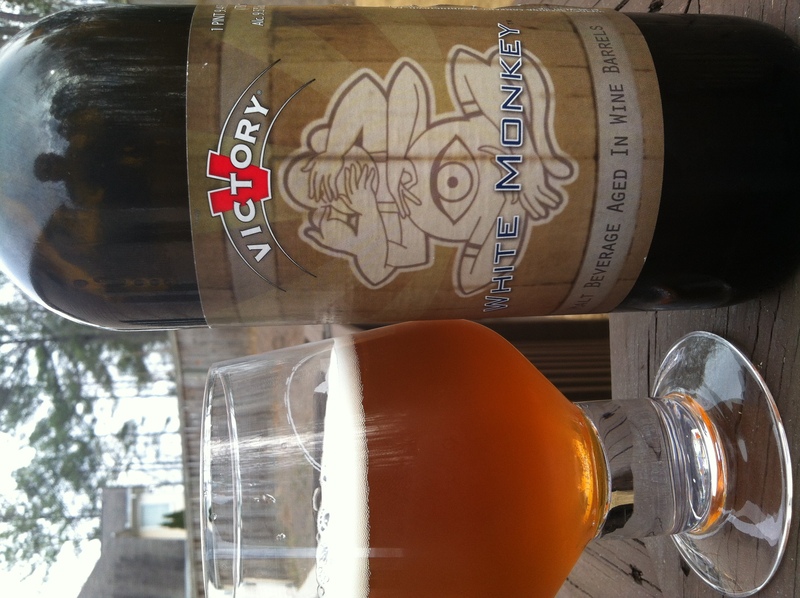 I tend to gravitate toward some of the white wine options for barrel aging, and Golden Monkey strikes me as beer that would do well, and be suited to such a treatment. However, I failed to read the label correctly, or do the research properly, and when I found that we were talking about oak here, my heart immediately sank. Oak in beer I can pretty much universally do without, so I had I been paying closer attention I would have most likely passed on White Monkey. Anyway, I didn’t, and at $7.99 for the 750 mL bottle it’s not exactly the end of the world, so press on we must. Apparently this has spent 3 months adjacent to the oak. Orange golden body with a medium, one finger head. Retention is not stellar, but there is a little lace and thin film forms on the surface of the beer. Nose is where the problems begin for me. There is a pretty strong oaky, sweet element that is tinged with alcohol, and the oak immediately lends a non-cleanliness to the beer. To me it seems muddy and ill-defined right out of the box. Tastes follow suit with the nose. For a second, upfront the beer tastes like I thought it was going to. A nice, alcohol based vinous touch that has a clean edge and nice acidity. Unfortunately (but predictable once I had read the label), the oak cuts across the beer, giving a sweetness that dulls the sharper edges that I seek. As is its want, the oak lingers too, and the whole beer goes to places that I didn’t want it to. There’s a not unpleasant, light burn in the back end and the oak never gets too strong, but the fact that it is there is enough for me. A shame. This would be so much better without the oak IMO, and the blurring of lines takes so much away from what I thought it might be. 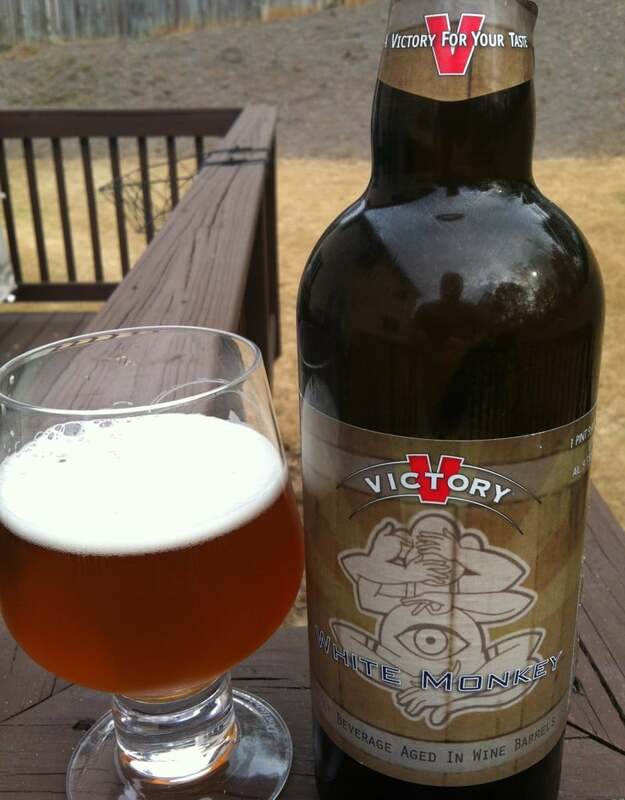 This could have been SO much better and perhaps one day will be see a white wine, barrel aged version of Golden Monkey that stays well away from any oak. I’m curious to know what kind of white wine barrel treatment doesn’t include an oak barrel. Are non-oak barrels that prevalent in the wine industry? Actually, I think that the answer to your second question is ‘no’ (if at all), and that your criticism of what I wrote is (largely) quite right. (Some wine-making uses stainless steel of course). Now, the degree to which the oak enters the taste profile can vary quite a lot, and I suppose what I was really saying was that I was hoping for a final product that had lower oaking. I think it is possible to have white wine, barrel-aged beers that have (relatively) very little oak character. I suppose a better way to articulate what I was looking/hoping for would be to say that what I was seeking a ‘white wine influenced beer’ without the the oak profile. Almost like a stainless steel fermented Chardonnay had been added to the beer! 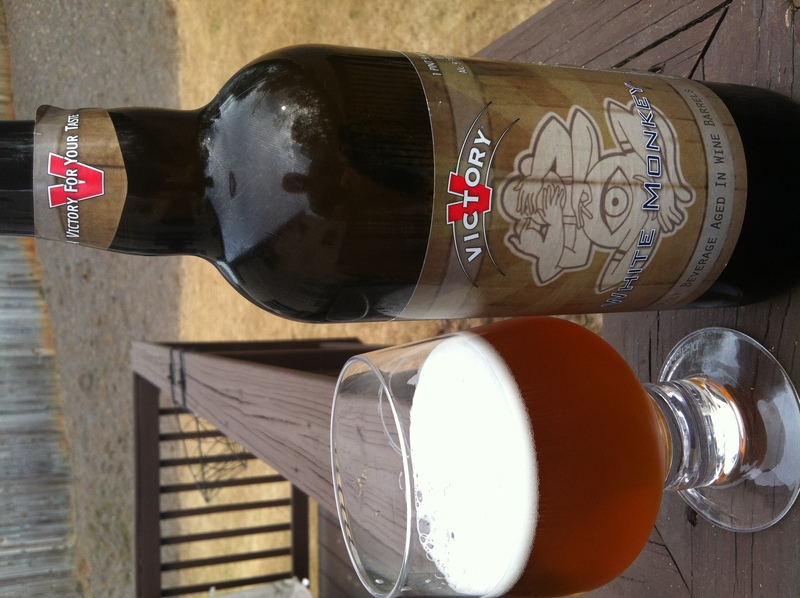 I think that this is what a beer like Noble Rot DID achieve in its taste profile, and I guess I was thinking about the way that Golden Monkey would work well in that regard. I know Noble Rot is not ‘barrel-aged’, and as I say in the first line of my review, I think I screwed up and read ‘White Wine’ and ignored ‘Barrel-aged’. As mistake on may part, as I acknowledge immediately.